PDIS course was stared in the year 1986, recognized by Directorate of technical education and training, govt. 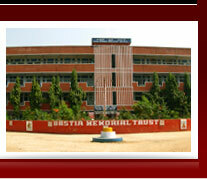 of Orissa and Affiliated to state council of Technical education and vocational training, (SCT & VT ), Govt. of Orissa. The course will be conducted through lecturers, discussion, case studies, laboratory exercises, film shows and factory/industry visits. The students are requested to carry out one term work and one project work during the courses of the programme as the requirements under the Syllabus. The Examination conducted State council of technical education and vocational training, (Sct & VT) govt. of Orissa as per its rules and regulations.